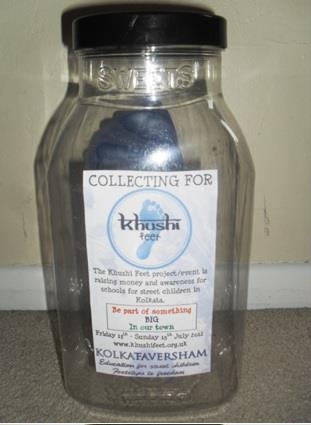 Khushi Feet collection jars are ready to be distributed this week . . . starting with the Indian Restaurants. Thank you to ‘The Sweet Scene’ for providing us with empty sweetie jars!